Inclusive of all bills available on 44-week or 51-week tenancy from September. Situated in an apartment of 5 rooms. Your room has; a comfy mattress, under bed storage, wardrobe, bookcases, cupboards, study desk with chair, extra plug sockets with USB charging points, large window with blackout curtains. A hotel style en-suite with power shower. 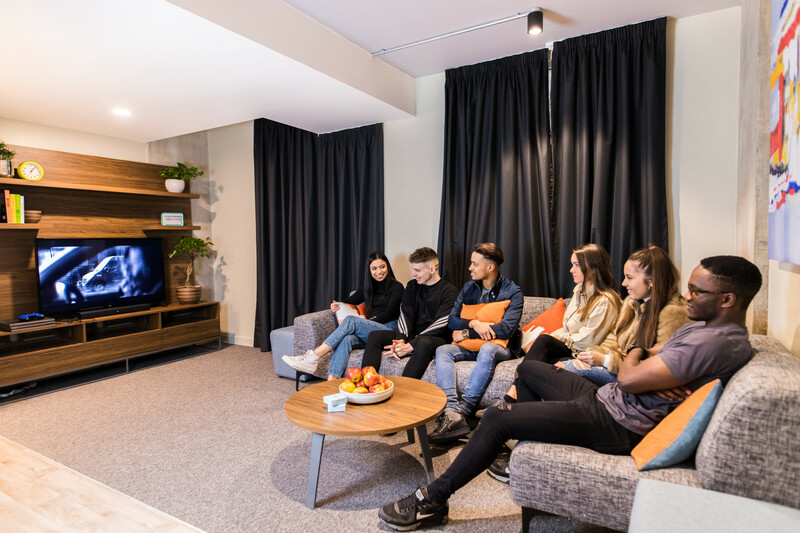 Your open plan apartment living space has mood lighting, equipped kitchen with integrated appliances including; dishwasher, extra hobs, fridge freezer, a dining table, soft seating and a stylish TV cabinet with TV. Secure door entry and access to all LIV’s communal space.